The scholarship named after Dora Mae Rawls is to help minority Detroit Mercy students who want to study Nursing. Donors are inspired to set up scholarships by many different people. Sometimes it’s a favorite professor, or someone who helped them along the way or a classmate who had a big impact on them. For Sandy Streberger and her sister Nancy Dodge, it was Dora Mae Rawls, their family housekeeper. Rawls had a part in both sisters’ weddings, was always a guest at family events and it was family tradition to call her every Jan. 1, just after midnight, to ring in the new year. Rawls died in 2001, but she was never far from the family’s thoughts. Years later, the family decided to create the Noble Family Foundation, to honor their parents, whose legacy of philanthropy and volunteerism inspired their children to do the same. “We wanted to create this foundation while our parents were still around to see it,” Streberger added. The idea of honoring Rawls came up in conversation one day. 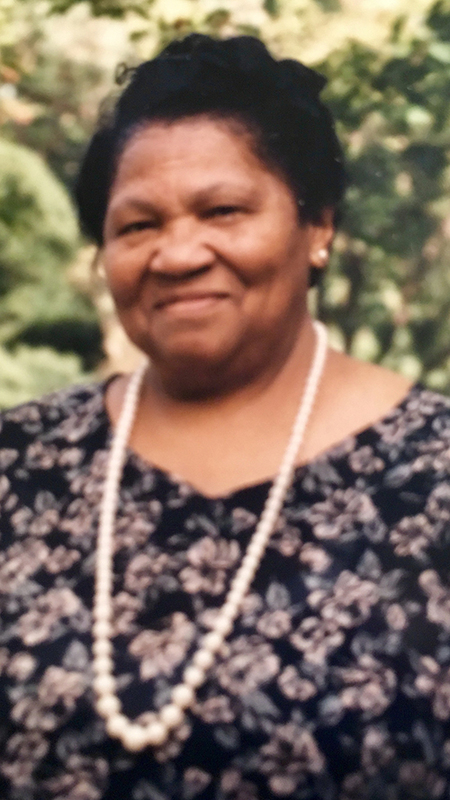 Rawls, who grew up in the south where options for African Americans were limited, had said if she had the opportunity, she would have become a nurse. 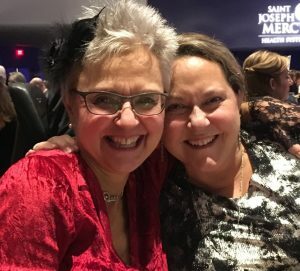 Sisters Nancy Dodge, left, and Sandy Streberger have created a scholarship for Detroit Mercy Nursing students in honor of Dora Mae Rawls, who said she always wanted to be a nurse. No one in the family has any direct connection to University of Detroit Mercy or the McAuley School of Nursing, but Dodge’s husband, Michael, had recently retired from Aquinas College in Grand Rapids, where Detroit Mercy offers a four-year nursing degree. He had always been impressed with the nursing students’ dedication and suggested the family make the donation to Detroit Mercy. Their $100,000 donation created the Dora Mae Rawls Endowed Scholarship, which will provide funds for minority Nursing students who demonstrate financial need. Endowed scholarships provide a permanent source of support for students that grows over the years. Creating the foundation was a bright spot, the sisters said, after their brother died in 2014, and while caring for their father Russ Noble, who passed away in 2016 and their mother, Peg Noble, who died a year later. It is by far the largest donation the foundation has given, the sisters said, but they say it feels right to give people a chance to pursue their dreams in a way Dora Mae Rawls could not. You may contribute to the Dora Mae Rawls Endowed Scholarship here. If you are interested in creating an endowed scholarship of your own, contact Director of Annual Giving & Advancement Systems Judy Wernette at 313-993-1250.